After a week and a half on the road, we reached capital city Wellington, at the southern tip of New Zealand’s north island! 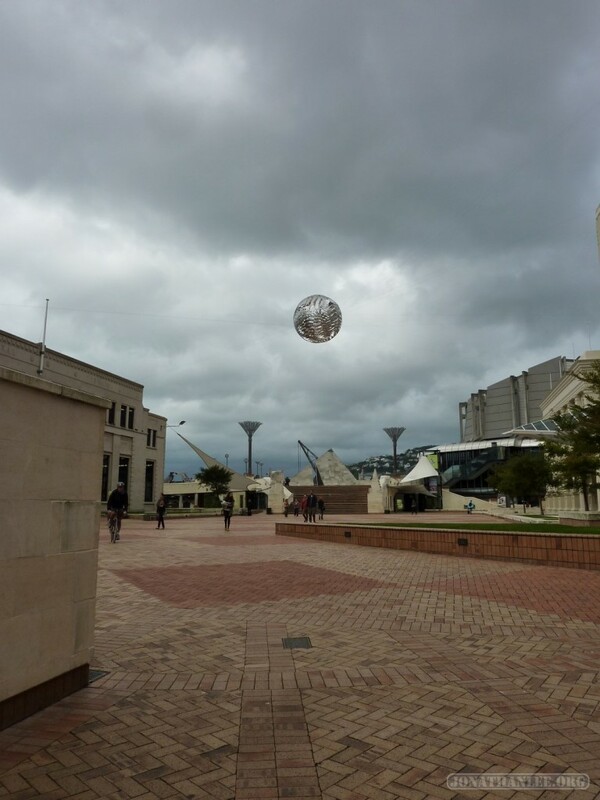 Once I got oriented in the city, I went on a whirlwind 2-day tour of the attractions, visiting the Wellington Museum, the Te Papa Museum, the cable car & cable car museum, botanical gardens, and Weta Cave. Oh, and the Wellington moon / death star. Notice how the rainclouds followed us all the way from Auckland.